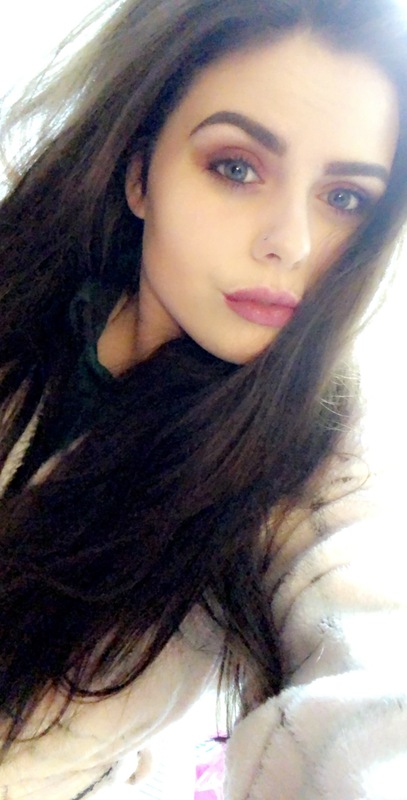 I have been going on to my family for a while about make-up storage, obviously I was given a makeup storage box for my birthday but when I stay at my nans when I am at college I like to take as little as possible and I do not really want to be dragging about a massive storage box. I received an email with an opportunity to review a makeup bag. I obviously said yes as I needed one and it is gorgeous! THE ‘GLAM” MAKEUP BAG- Its chic its pretty and it works. 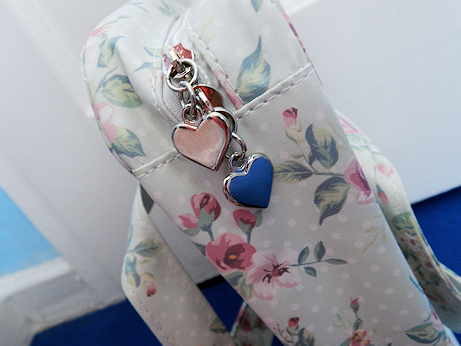 Keep your makeup and cosmetics organised and secure in this cute makeup bag. GREAT FOR TRAVEL- This makes a great travel makeup bag, two large and two smaller zippered compartments and a handy hanging hook make keeping your makeup organised and simple to find. I always need something to store my makeup whether that’s going out or staying out I always need something. 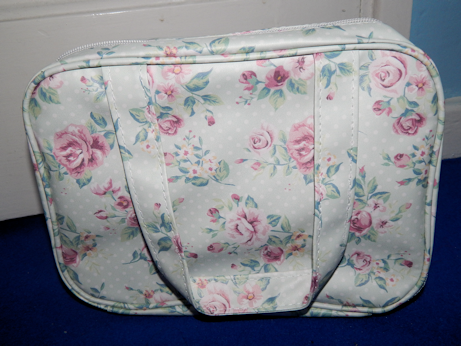 I thought this bag was perfect for my needs it’s not too small but not too big and it holds a decent amount of makeup. 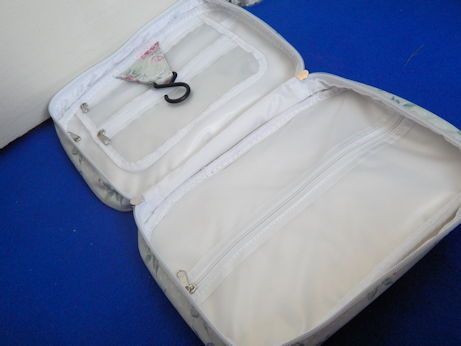 The Glam bag consists of two large zipped Pockets and 2 small zipped pockets. 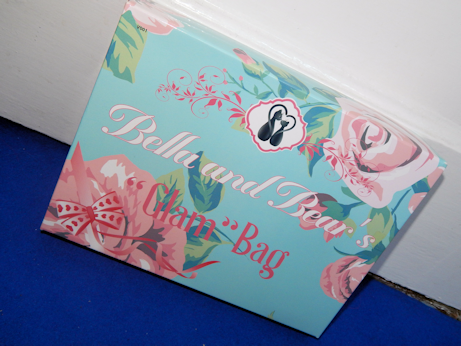 As you can tell from all the other Bella and Bear products and packaging the floral print is their signature print and it comes on all of their products one way or another. 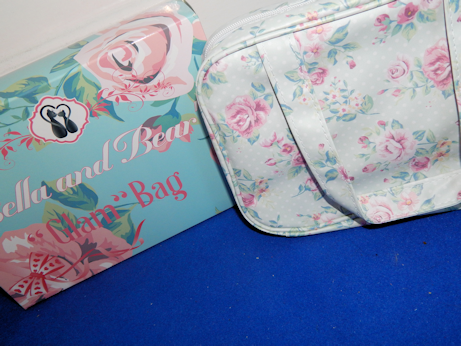 I love the print, it is girly and looks really nice on my makeup desk and its like a vintage floral which I love even more. 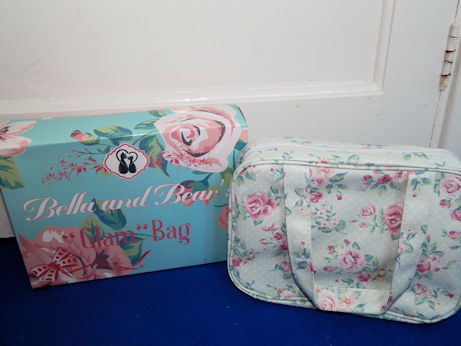 I have had people ask me where I have got my makeup bag from because they really want one and they think it is really pretty so I have told them and they have said that’s really good price too. This bag is practical and there have been times where I have had to clean it because my makeup bags get dirty really quickly no matter what I do. it wiped clean and it was so easy to clean. There is also a hook so I can hang it in my bathroom or on my door which is fantastic. It is also a perfect size for travel and there are many different uses, you could put makeup in it, toiletries, skin care products you could just use it for storage. One thing I absolutely loved about this bag was that it had transparent pockets because when I needed something I knew exactly where it was because I could see it and I didn’t have to rummage around for it, it also has a bit of padding behind the pocket so the more delicate things will not break. 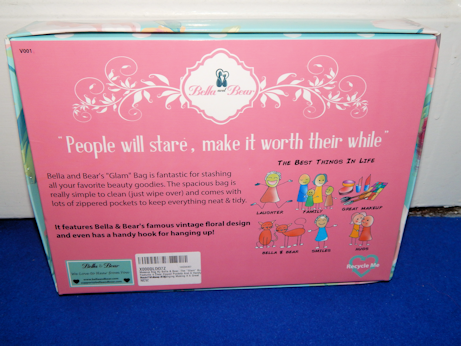 I now own a couple of Bella and Bear items and I have never been disappointed with any of the products and this is a brand I fully trust. This Glam bag is convenient and really pretty. I filled it up with my makeup and still had quite a lot of room in there. It isn’t too small but it isn’t too big it is just right for me and my makeup. 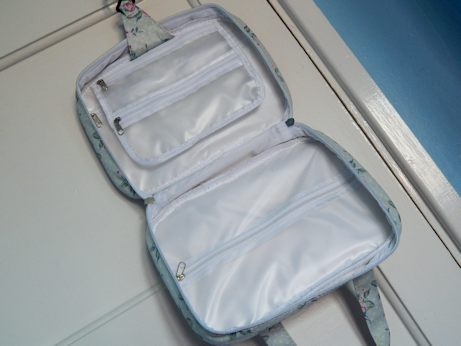 Overall I adore this makeup bag, its wipeable, its hardwearing and perfect for travel which I do a lot.